The latest in non-surgical and needle-free face lift & body slimming technology from LPG Systems France. endermologie® is a long time secret weapon of celebrities and has been featured at the Cannes Film Festival. Making endermologie® a part of your daily life means choosing an intelligent, responsible and healthy lifestyle aimed at preserving your body and face from the damages of time and facilitating your body's own healing process. Mobi M6 by endermologie® is a mechanical work out for the skin. It delivers micro-beats to stimulate your cells’ natural production of collagen and elastin. This anti-ageing technique redensifies the skin deep down and erases signs of ageing without the use of electrical currents, injections or chemicals. For 30 years, LPG has been developing patented technologies to optimize the performance of both ordinary sportsmen and athletes of the highest level. Adopted by many champions, the benefits of LPG techniques have also been proven by reputable scientific studies. With our Integral, CELLU M6®, connective tissue machine it is possible to significantly optimize performance, speed up muscle recovery, and reduce healing time after an injury. In our facial lift treatments: Patented treatment heads produce a continuous micropulsation so that the skin receives 3D stimulation. 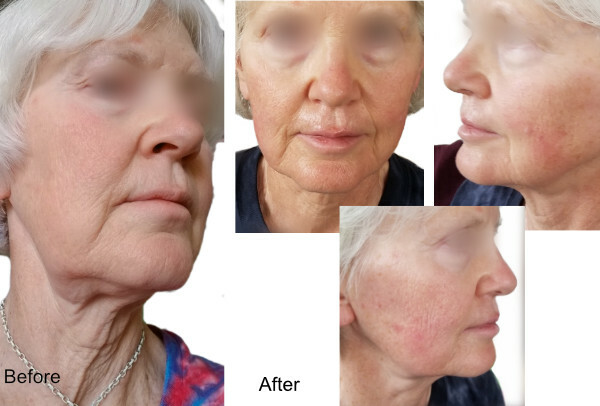 We smooth out lines, wrinkles and create an overall lift effect. All facial lift treatments are adjusted to what degree of lift effect or rejuvenation is needed, and to different types of skin. Hyaluronic Acid increases 80%, which allows the fibroblasts in the extra cellular matrix to increase the production of Elastin and Collagen. With both mechanization and mobilization of the tissue you will see a cumulative effect, enhancing health and beauty. Our body treatments are detoxifying, relaxing, and can decrease circumferential measurements in targeted areas, smooth out texture and increase circulation. We can address, slimming, firming, or the appearance of cellulite, which depending on individual body, can be concentrated in specific areas. The experience is similar to a hands-on massage, in that one feels rejuvenated and relaxed, while increasing circulation and vitality. Have experienced the major hormonal fluctuations of puberty, pregnancy, or menopause which have resulted in dramatic figure changes.